MOSCOW, March 1. /TASS/. Russia has launched tests of new promising missile complex Sarmat, Russian President Vladimir Putin said on Thursday during his annual State of the Nation Address. "We have launched the development of the new generation of missiles, and, in particular, the Defense Ministry jointly with the missile and space industry launched the active phase of tests of a new missile complex equipped with a heavy intercontinental missile. 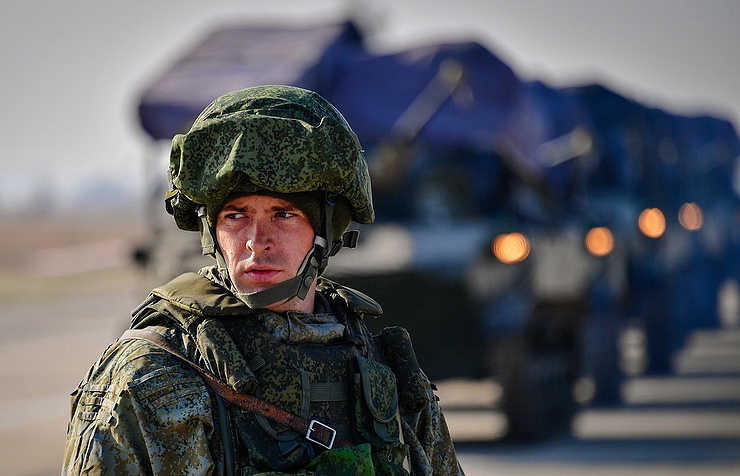 We called it Sarmat," Putin said. The Russian president demonstrated the lawmakers and the senators from both houses of the Russian parliament a video showing the main technical characteristics of the Sarmat missile complex, which in particular has an unlimited flight distance. According to Putin, "this missile complex will replace the Voyevoda ICBM complex, which was designed in the times of the Soviet Union." "Everyone has been always acknowledging its high combat potential and our foreign colleagues gave it a very threatening name, but the technical capabilities of the Sarmat system are much higher," the Russian president said and named some of the characteristics of the new missile system. "With the total weight of over 200 tons it has a short active flight path, which complicates its intercept by ABM systems," he said. "The new heavy missile’s range, the number and yield of its warheads are greater compared to the Voyevoda missile." 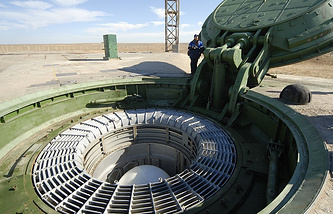 Putin said that the Sarmat would be armed with a broad variety of nuclear warheads, including the supersonic ones, and would be equipped with the cutting-edge technologies of penetrating anti-missile systems. "High protection characteristics of launching pads and enormous power efficiency will provide for the operation of this missile complex under any condition and in any situation," the president stated. "While the Voyevoda has a flight range of 11,000 kilometers, the new system has practically no distance limits." The new missile system, Putin continued, "is capable of striking targets both via the North and the South Poles." "The Sarmat is a very formidable weapon and due to its characteristics none of the perspective ABM systems pose an obstacle to it," Putin added.